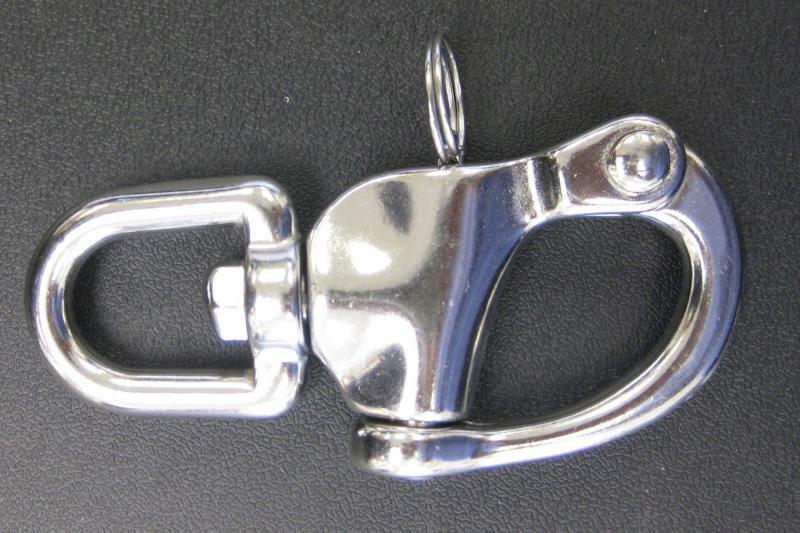 Small STAINLESS STEEL Swivel Shackle. Safe Working Load 1,000 pounds. 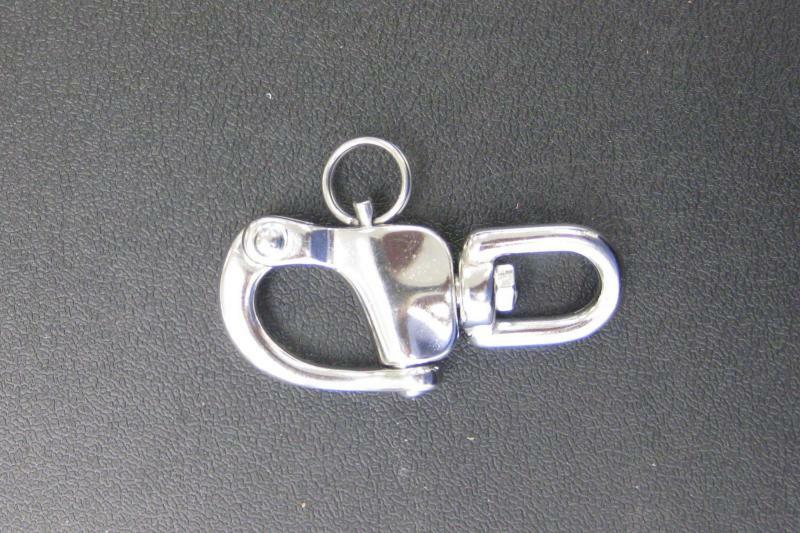 Overall length 2.75" with a 1/2" swivel eye.